There are a number of supplements on the market that report to boost testosterone production, muscle mass and virility. The best way to approach these though is with caution – until there is enough research available to back up the claims. In this article we take a look at Coleus Forskohlii and why there just isn’t enough research out there to make it a dependable T booster. What do the studies say – can it boost your T levels? Coleus Forskohli is a tropical plant native to the mountain slopes of Sri Lanka, India and Nepal. It is well-known for its vibrant blue spires and thick green leaves. ‘Forskolin’, as it is often known, contains a number of bioactive compounds that activate cyclic adenosine monophosphate (cAMP) – an important chemical that can increase the uptake of fatty acids in the body. It has been used in traditional Eastern medicine for centuries, and more recently used to treat a number of cardiovascular and respiratory conditions. It has also been used for its neuro-protective benefits too . Coleus extracts initially gained popularity in the supplement industry as a potential fat burner. However the research was contradictory and although popular, was not that effective. It is also reported to be a potential T-boosting supplement too. The physiology behind how T levels increase might demonstrate the potential this supplement has. Research suggests that cAMP can trigger increases in testosterone . 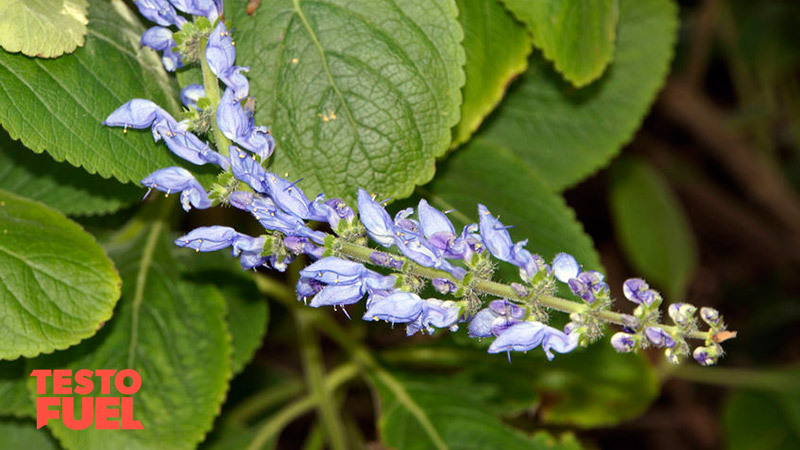 As cAMP itself is triggered by forskolin it would make sense that forskolin could indirectly boost T.
There is however a surprising lack of research on forskolin, particularly when you are searching for studies on testosterone. To date there are only a handful of studies available – and most of these are on animals. One human study that is available was published in Obesity Research in 2005 . Although the study had the primary goal of focusing on obesity, the researchers also measured volunteers’ T levels too. In this study, 30 volunteers were administered either 250mg of Coleus extract, twice per day for 12 weeks, or a placebo in its place. The research team reported that there was a ‘trend’ for the supplement group to show changes to body composition suggesting that it could be useful in the treatment of obesity. They also reported that whilst T levels rose 34%, there was a high variability amongst volunteers and actual change in serum total testosterone concentration was not significantly different amongst groups. Other than that study you’ll be hard pushed to find any other human studies at present. That doesn’t mean that this supplement won’t work it just means that it is very understudied, and when something is understudied you always need to approach it with caution. 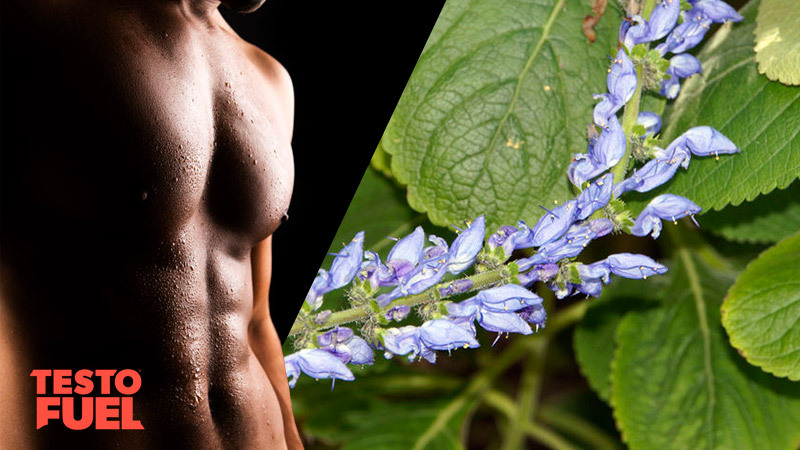 Key Point: Forskolin is just far too understudied to say with confidence that it boosts testosterone. This supplement has no serious adverse effects but has been found to elevate heart rate and reduce blood pressure, as well as cause flushing of the skin . The increased cAMP levels may also cause diarrhea. Other mild side effects include upper respiratory tract infection, cough and headache. It is always possible with supplements of this nature that there may be long-term side effects that have not been discovered as yet. You should instead consider choosing a natural T booster that is safe, well-evidenced and also effective. Summary – Does Forskolin Increase T Levels? Forskolin is derived from the Coleus Forskohlii plant – a tropical perennial with tuberous roots, bluish spires and deep green leaves. It has long been used in traditional medicine to treat cardiovascular and respiratory conditions, and has more recently been suggested as a potential T booster. To date there are an extremely limited number of studies to draw upon; even less if you are after human studies. Although some research shows modest promise, there just isn’t enough evidence to say with any conviction that this supplement works. There are many more T-boosting supplements out there that are well-evidenced and use nutrients that have been shown time and time again to have a positive effect. Our advice at this stage is to avoid Coleus products until more research has been conducted. TestoFuel contains specifically selected nutrients, which have been shown to increase testosterone release in the body. More testosterone means more growth, bigger muscles, more energy, faster recovery and a host of other effects essential for bodybuilders.